Starting a New Group? This Is For You. In Circle Up, we've tried to incorporate all of the things we've learned about group life in the last five years. If you just started a new group, you've now entered the "takeoff" phase of its life. Here are two things you can do to have a smooth takeoff. There are lots of different ways to tell your stories in group. In this blog post, I’m going to talk about another one. It’s a unique approach with a lot of benefits. GroupLink is Over. Now What? One of the most important things you can do as a group leader is to be intentional. That means leading your group toward a destination, and making sure that the things you do and your conversations have a purpose. The idea of telling your personal story to the other members of your group may seem a little uncomfortable, but it doesn't have to be a big production. Are You Leading a New Group? Our hope is that Community helps to launch a year or two of amazing growth in the life of your group. Here are four ways you can guide your group members to structure their stories in a way that helps them to communicate the most important details and connect with the other members of the group. It can be challenging to create a comfortable environment for telling stories in group because some group members are eager to talk about themselves and others are reluctant. Some people over-share and others under-share. So how do you find that sweet spot where everyone can tell his or her story in a way that leads to deeper connection within the group? Here are three practical tips you can use to lead your group members to better storytelling. Lead the story. As the group's leader, it's your responsibility to cast a vision for why telling stories is an important part of building community. It's also up to you to model good storytelling. The way you tell your story may differ depending on the type of group you're leading. A long-term Community Group will want to dive deeper into stories in order to create a solid relational foundation. Short-term groups (Starting Point, Care Group, Access Group) may want to focus on a few key facts so that people feel comfortable enough to begin to open up to one another. Name the story. If you want to make sure everyone's story is focused, name the story. Say, “Who wants to tell his or her Eight-Minute Story next week?” If it's called "Eight-Minute Story," group members will assume that, well, they need to give an eight-minute story. Just make sure the time allotted is appropriate to the type of group—eight minutes isn't enough time for the kind of in-depth storytelling that happens in Community Group. Celebrate the story. As group members tell their stories, look for ways to encourage and connect with them. Always thank them for telling their stories. Provide positive feedback. Take notes and really focus on what each member may need and how you can help them. It’s always a good idea to give group members a quick call during the week after they their stories to see how they think it went and to thank them for sharing. What are some things you've done to help group members to tell their stories well? If you started a new group at January's GroupLink, the end of your eight-week starter period is fast approaching. In the final week of the study, you'll discuss, fill out, and sign the Group Agreement. The agreement isn't a binding contract. It's not a document you turn in to the church so we can file it away and refer to it later. It's just a way for you to make sure that everyone in your group understands what to expect and is on board. You may think walking your group through the Group Agreement will be a little awkward. You may even consider skipping Session 8. Don't do it. The first two groups I led, we didn't use the agreement. If I could go back in time, I'd do things differently. Once I began using the agreement, the quality of my groups improved . . . big time. That's because this simple document, and the discussions that went along with it, aligned everyone's expectations. If there were people in the group who thought they were signing on for wall-to-wall Bible study, the agreement set them straight. If there were people in the group who expected lots of social interaction and just a tiny bit of Bible study and prayer, the agreement set them straight, too. The Group Agreement didn't guarantee that all of my groups were great (nothing can do that), but it ensured that my groups didn't derail because people were frustrated by unmet expectations. We designed Community: Starting Well to get everyone in your group on the same page about what the group is and what it isn't. By now, you've shared stories, explored the building blocks of spiritual growth, and discussed what everyone in the group needs to know and do to create community. The Group Agreement is the last piece in the puzzle. It's designed to solidify in everyone's minds a lot of the things you've already talked about as a group. Before you lead your group through Session 8, review the elements of the Group Agreement. Print a copy of the agreement for every person or couple in your group. If there are other aspects of the Group Agreement you want to discuss with your group members, go for it. John just covers multiplication and closed groups because they're really important and they can cause confusion . . . especially for new leaders. Congratulations on reaching the end of the eight-week starter period. I hope Starting Well has set you up for a great group experience over the next year or two. Have you used the Group Agreement in past groups you've led? How did it work for you? Telling your story in group can be intimidating . . . especially if you're the group leader. Your story will set the tone for everyone else's. So how do you tell it effectively? How do you know which details to include and which to leave out? How do you go about telling a condensed, thirty-minute version of your life that gives each of the important highlights the weight it deserves? One idea is to create a Life Map. 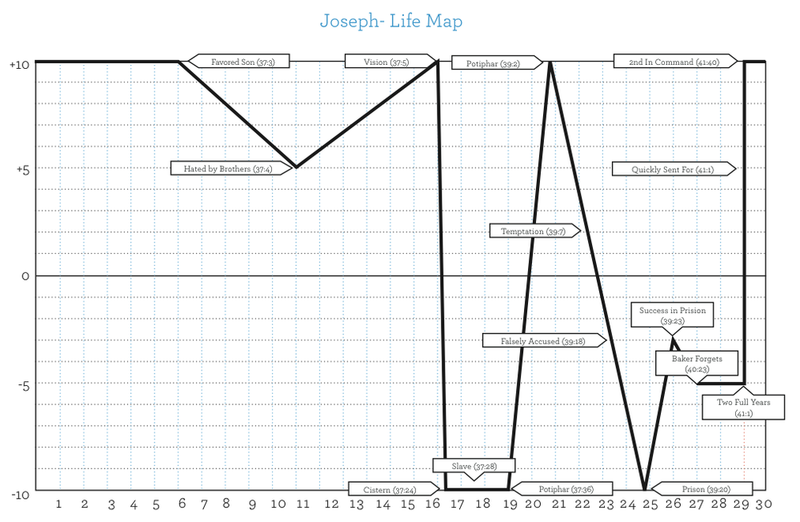 The Life Map is a great tool for preparing to tell your story. It's a simple exercise that can produce profound results by helping you to identify the parts of your story that matter most to your group: the parts that have shaped who you are. Once you've created your Life Map, you don't have to share it with your group (though you can if you want to). It's just a great tool for working through the details of your life in an organized way. It can also be a helpful point of reference for you to have on hand as you tell your story. Feel free to print enough Life Map Exercises to give one to each member of your group . . . especially if they're looking for some help in preparing to tell their stories. If you've led groups in the past, what tools have you used to prepare to tell your story? If you formed a new group at GroupLink in January, you're probably getting close to doing Session 4 in Community: Starting Well. Beginning in Session 4 and lasting for at least three weeks, you and your group members will share your stories with one another. As the group's leader, you'll start things off. And believe it or not, your story—the way you tell it—has the power to set the trajectory for the rest of your group experience. Here's the good news: what I'm not saying is that your story needs to be as riveting as a Steven Spielberg movie. What I am saying is that the members of your group will probably only be as open and transparent when they tell their stories as you are when you tell yours. You're going to set the standard. Don't sugarcoat your story. Don't try to present yourself as a perfect Christian (you're not a perfect Christian and neither is anyone else). If there's sin in your story, go there. If there's loss in your story, go there. If there's tragedy in your story, go there. After all, there's sin, loss, and tragedy in everyone's story. None of us lives a charmed life. All have sinned and fall short of the glory of God (Romans 3:23). Telling your story—your true story—can be intimidating. We all fear rejection. There's a little voice in the back of our minds that says, "If they really knew me . . . ." But telling your true warts-and-all story may be the thing that creates deep connection in your group because it may give everyone else in the group permission to be open and transparent as well. Transparency is a priceless relational commodity in our culture. People rarely feel free to really be themselves among others. If you're brave enough to be open with your story, you'll give your group members a great gift: an invitation to be open with theirs. First Thessalonians 5:10–11 says, "[Jesus] died for us so that, whether we are awake or asleep, we may live together with him. Therefore encourage one another and build each other up, just as in fact you are doing." But before we can encourage and build one another up, we have to be honest with one another about who we are. Telling each other our stories can be a huge step in that direction. Before Your First Group Meeting . . .
We're coming off of a hectic and exciting GroupLink weekend. Lots of new groups were launched over the last few days. Was yours one of them? If so, your group will be working through Community: Starting Well In Your Small Group, an eight-week study designed to help you start your group off on the right foot. There are two things you need to do before you meet with your group for the first time. Read Session One in the Participant Guide (and have your group members do the same). Read the Session One Leader Notes. "What are the things that new groups need to know and do during their first two months together to set the trajectory for a great two-year group experience?" This was a huge question because it took us to unexpected places. It forced us to think about what group leaders and members expect from the eight-week starter period. One of the biggest ideas we want to convey in those early weeks of your new group is that relational connection is as important to the group experience as Bible study and prayer. That's because relational connection is the foundation for a sense of belonging in the group and that sense of belonging is the foundation for accountability among group members. Belonging and accountability then become the foundation for the care that group members experience when life goes squirrely. If the goal of group life is that leaders and members grow in their relationships with Jesus, then knowing biblical truth is important but it isn't enough. We also have to apply biblical truth. We have to live it. That living happens in the context of relationships. Personal connection is huge in your group. But we haven't always treated it that way. As a leader, I've traditionally kicked off my groups with a social meeting at a restaurant. Lots of group leaders do the same. But over time I began to notice a problem with that approach. Except for the people sitting immediately to my right, left, and across the table, I didn't really get to meet my group. That couple down at the other end of the table? I barely remembered their names. That's a problem when you're the one responsible for leading the group. So in Community: Starting Well In Your Small Group, we ask you to host your first social in your home (or one of your group member's homes). We want you to begin to connect with everyone in your group. We've provided a short video and some content in the Participant Guide that casts vision for you and your group members about why relational connection matters, why just hanging out and talking and laughing isn't time wasted in the life of a Community Group. The night of your first meeting, you'll meet in a home, watch a video, and then hang out with your group. Simple, right? But different . . . and better. Congratulations on your new group. We're deeply grateful for your willingness to invest time, energy, and emotion in leading others into a growing relationship with Jesus Christ. We want to do everything we can to help you succeed. So before you meet with your group, check out the Session One material in the Participant Guide and Leader Guide. It's designed to help you take these first steps into community with a group of people you probably just met a couple days ago. We pray they're people that, six months or a year from now, are so important to you that you won't be able to imagine what life would be like without them.